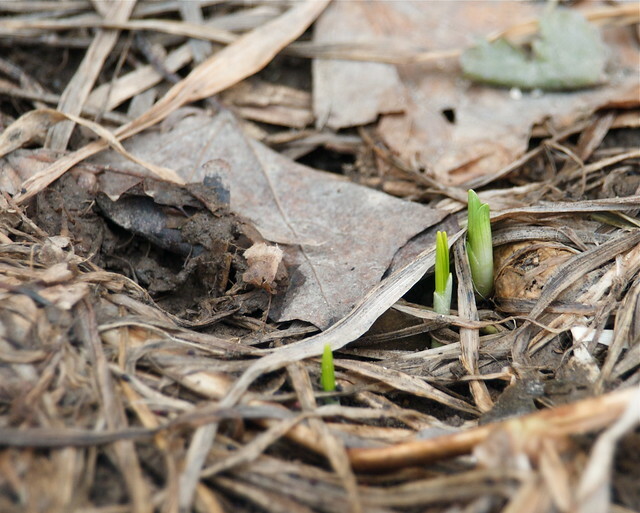 Some were worried that the ice and snow that fell after I posted the photos of my crocus popping up would kill them. I was not worried. Crocus are TOUGH. Plus, they are near the foundation of my house on the southeast corner, so they get the benefit of the warmed concrete. 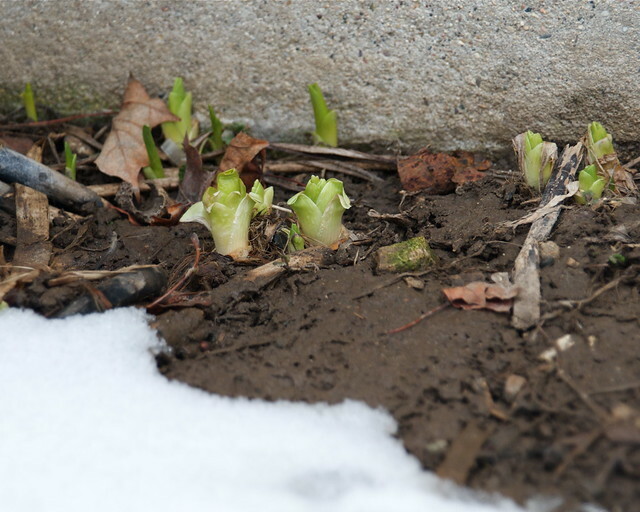 As the snow and ice recedes again today, I see they are still doing fine.